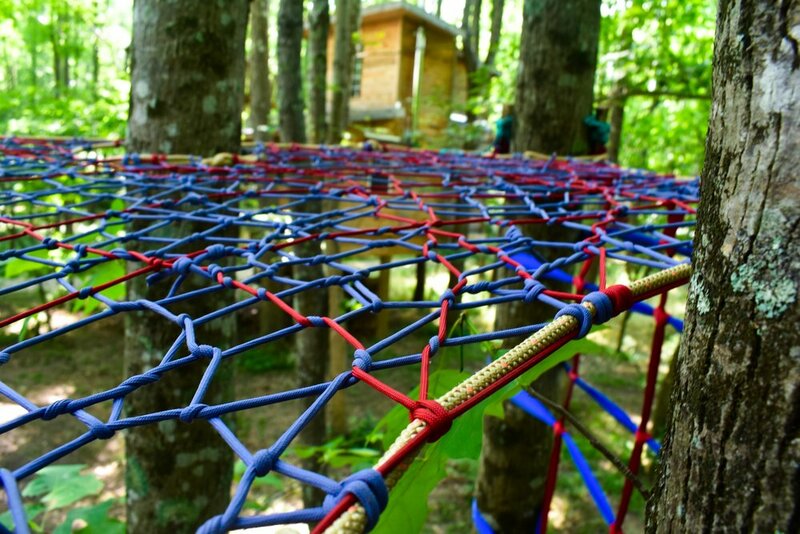 The Happy Hollow Weave is a platform weave suspended about 15 ft high in a grove of Poplar trees. The platform is walled in on all sides, and access is via a sturdy and easy to climb Tree Weaves webbing ladder. We have plans to build a rope bridge to access the net from the full amenities tree house that lives adjacent.